Fall Event - Vendor Apps Now Open! I have written about Quirk Books a few times in the past as they publish a variety of unique books, including modern craft books. It is summer here in the States, which means there are lots of kids at home needing to be entertained! Regardless of the time of year or school calendar, it's always nice to find activities that kids (and parents) enjoy. 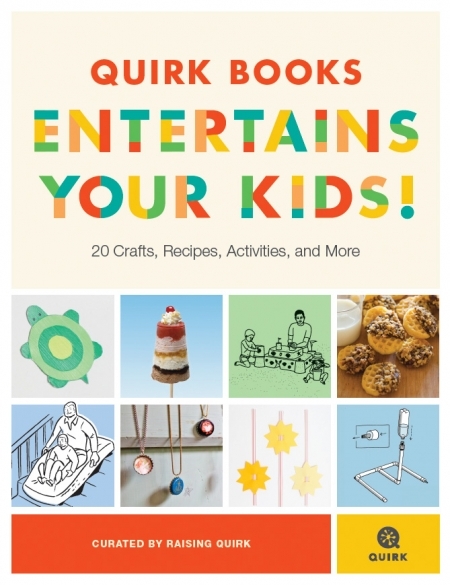 With that in mind, Quirk Books has released a free fun sampler with excerpts from a number of their cooking, crafting, and parenting books, chock full of fun summer activities. There are 39 fun-filled pages featuring activities such as Little-Bitty Fudge Puppies and How to Keep a Family Happy During Car Trips. I have many fond memories of crafting & creating with my Granny using a thick craft book & supplies my aunt thoughtfully provided. So why not check it out & find a few activities to do with the kiddos? They are sure to enjoy a number of these activities! And, if you are unable to hang out all day & create, pass it along to the babysitter who is sure to be looking for ways to entertain the young-uns, as well!